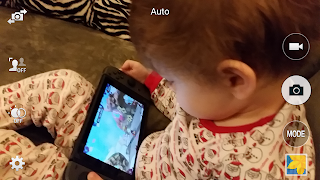 He's been enjoying the Splatoon game I borrowed from the library. It's tricky so I help him with the controls when he needs it. The look and feel really draw him into the game.